As the m erchant for Achievement Products I am constantly reviewing the sales results of the items we offer, identifying the best sellers to insure we offer the best of the most desirable products. Generally, the trends we see in best selling products are the result of: current therapy practices as noted in therapy newsletters and related publications; the introduction of entirely new products; the updating of existing popular items. Once in awhile though we see a trend that surprises us because the results cannot be easily explained within these common sales drivers. Our sales results for yoga related products are a perfect example of this. by Mary Hanley Martin who has studied Yoga extensively with various instructors from Europe and the U.S. while attending the University of Cincinnati for courses in anatomy and physiology. -yoga postures are extremely adaptable and substitute variations can be used in any position. -realize that you are giving to your children an easy, effective and beautiful psychomotor therapy program that they can carry with them into adulthood! 1.) I need to enroll in a yoga class right away! 2.) If everyone in the world took a 15 minute yoga break everyday, this world would be a different place! 3.) Yoga is a wonderful activity for the inclusive classroom. It is one of those products that transcend typically developing and special needs children as well as age. That makes it one of my favorite products of all! 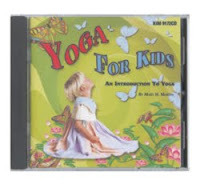 Do you have experience in your program or your child’s program with yoga? Please share your stories with us. Yoga seems to be a very empowering activity so there must be some wonderful stories out there!